This simple to fly strutless kite is capable of soaring hundreds of metres in any gentle breeze yet folds down into a pocket sized pouch. The perfect pocket sized take anywhere kite. Made by Lagoon Games. This simple to fly strutless kite is capable of soaring hundreds of metres in any gentle breeze yet folds down into a pocket sized pouch. 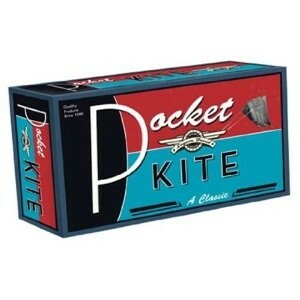 The perfect pocket sized take anywhere kite.